Frequent winner of tomato tasting contests – if taste is your #1 priority, try this pink tomato that turns a darker rose shade at its ripest. Big wonky shapes and thin skins make it unsuitable for commercial growers, but just fine for the home garden. To outsmart birds and squirrels, who like it as much as we do, harvest when it’s pale pink. 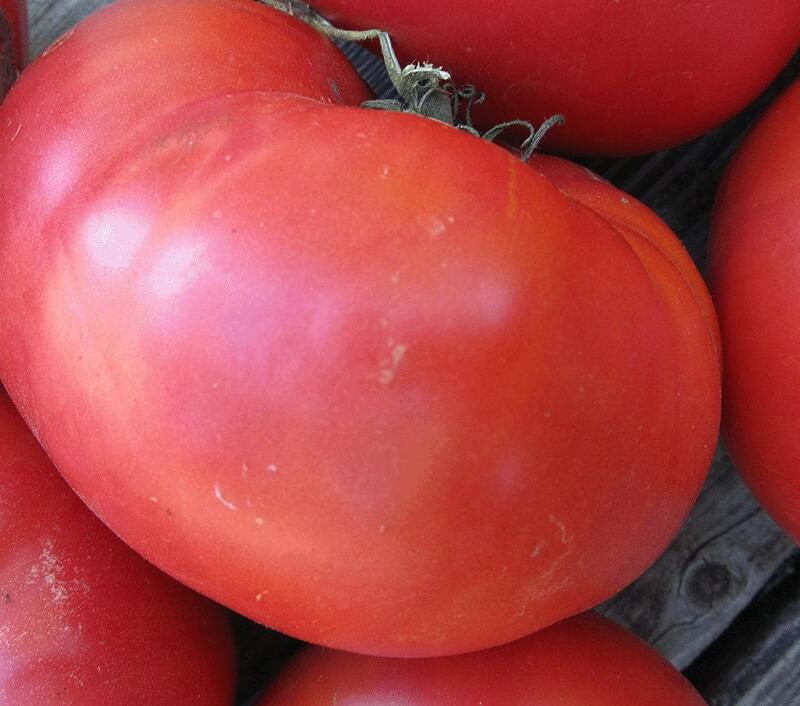 Tennessee Heirloom can finish ripening indoors to deep rose perfection with no loss of flavor. Culture: Start seeds indoors six weeks before last frost. They’ll need to be caged or staked. Good soil, full sun.